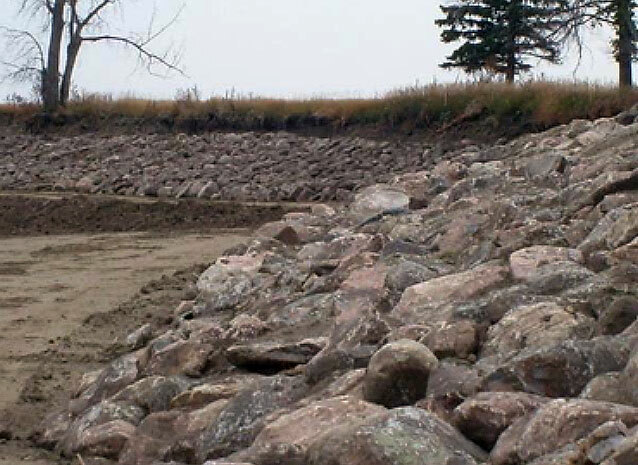 This project site was a culturally significant area along the Missouri River, Lake Oahe that contained highly valued Native American artifacts dating back hundreds of years. 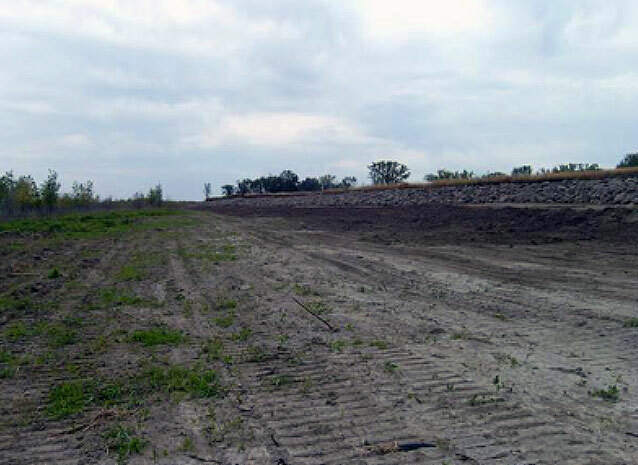 Erosion from the varying river levels had exposed and removed many Fire Rings, Ancient Bison bones, Native American Remains and other important artifacts. 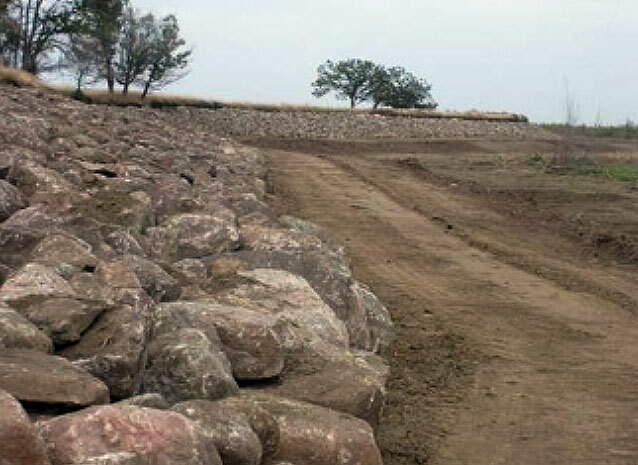 In an effort to protect these artifacts, DLM Contracting, Inc utilized fieldstone as a riprap barrier to stabilize a bank that showed signs of detrimental erosion.